I've been obsessing over beach totes with pom poms (I'm sure you've seen this one and this one), but not so much their price tag. 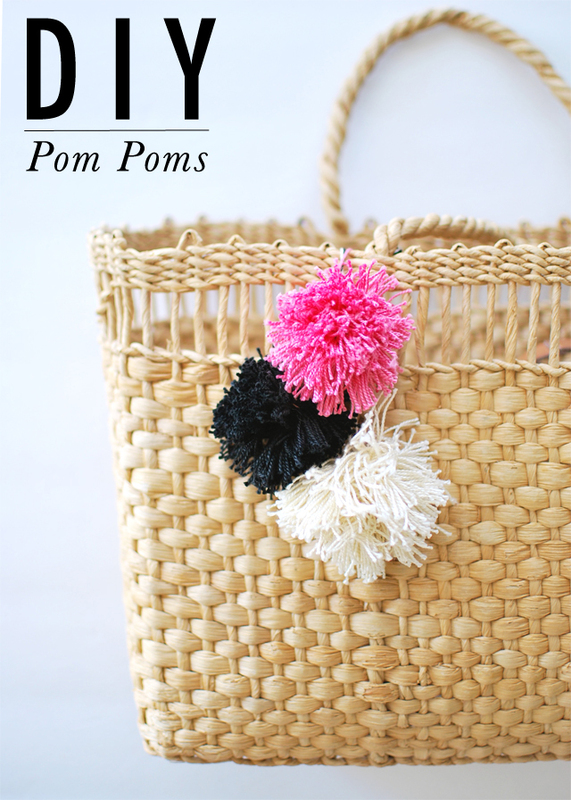 So I figured why not try my hand at creating those pom poms and attaching them to a much cheaper beach tote. Lucky for me, on my most recent thrift store run (Cora's first but not her last! ), I found this adorable straw beach tote for $3.98! 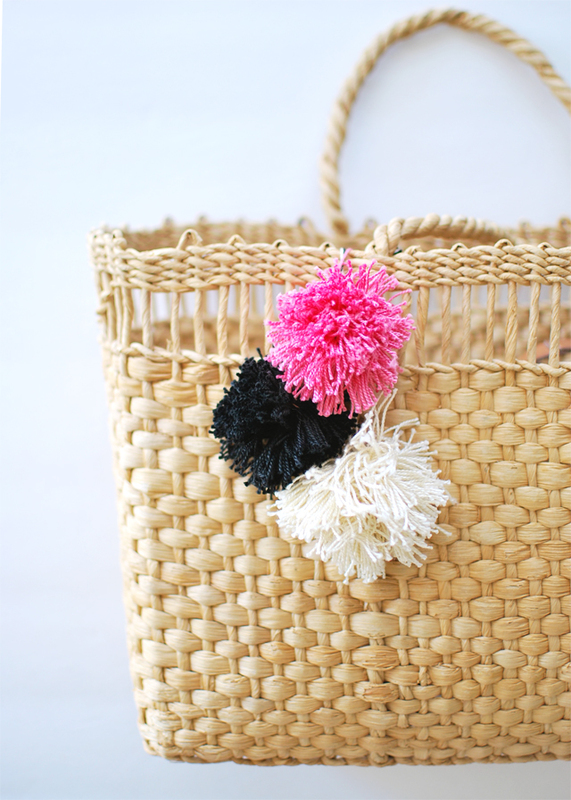 I knew it would be the perfect beach tote to have these DIY pom poms added to them. To say that I'm in love with my newly updated thrift store beach tote is an understatement. All I want to do is use my straw tote all the time. Let's get to the DIY! It's the easiest thing to do and I can't believe I didn't try my hand at this sooner. Steps and photos are below, so happy DIY'ing! This is seriously all you need. You can even use yarn, but I really like the look of the embroidered floss so I went with that. I picked these up from Michael's, which has a great assortment of colors, and are all under $2 a pop. 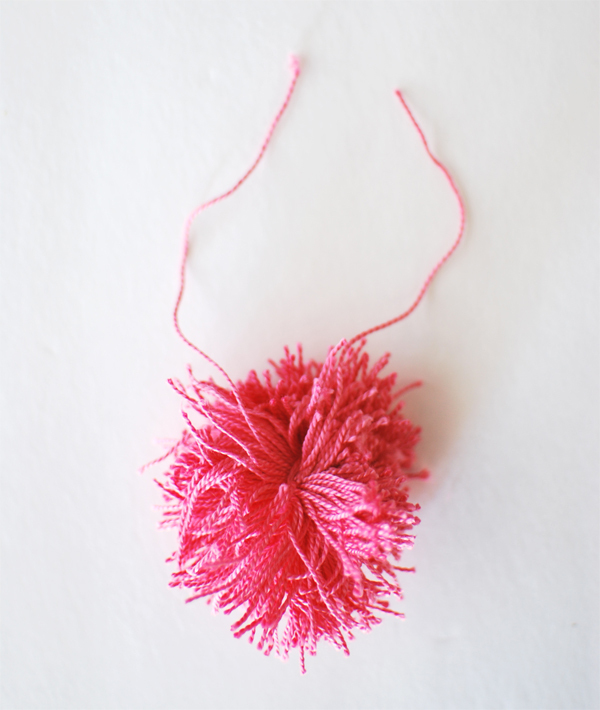 Depending on the size of the pom poms that you want, you can use anything to wrap the embroidered floss around. I went with my fingers since that seemed like the easiest solution. I did try it around my palm and that made really big pom poms (the off-white pom pom on the bag was created using my palm instead of my fingers). This is what it should look like when you're done wrapping the floss. 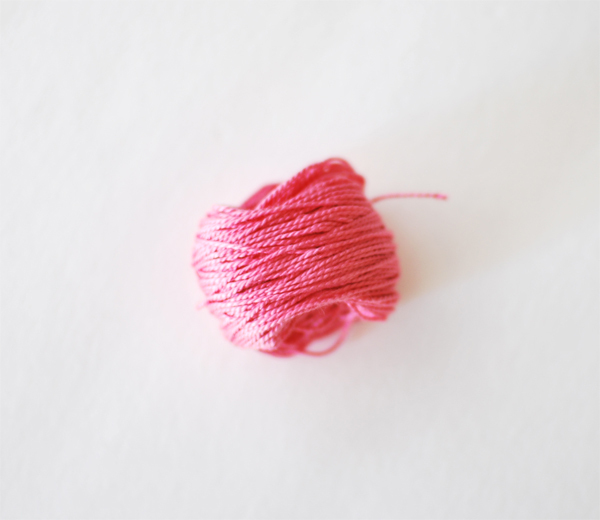 Make sure to save some of the embroidered floss for the next step as well as having extra to attach to your beach tote. I would say at least 1 foot and 6 inches just to be on the safe side. 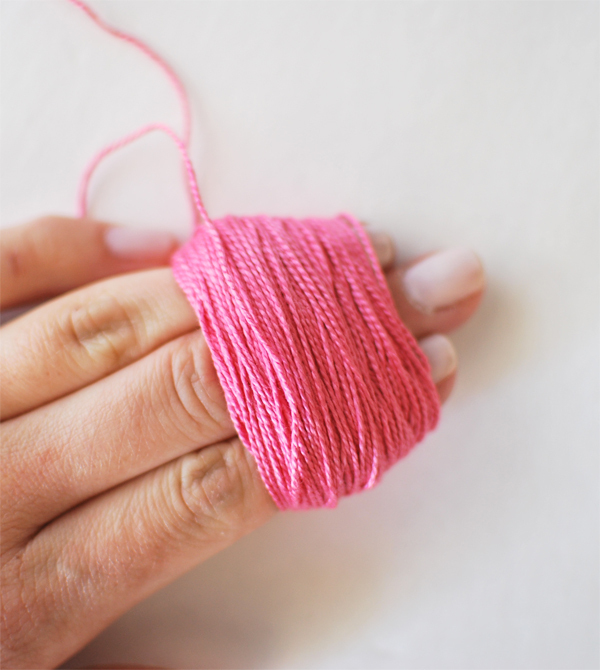 Tie a piece of the floss around the center of what you just wrapped around your fingers. Make sure to really pull it tight and double/triple knot it. You'll want to make sure this is secure and as tight as you can tie it. 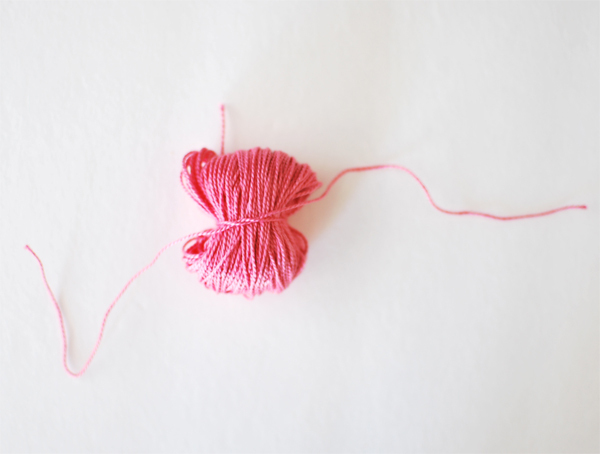 Here's what it should look like when you've tied it. 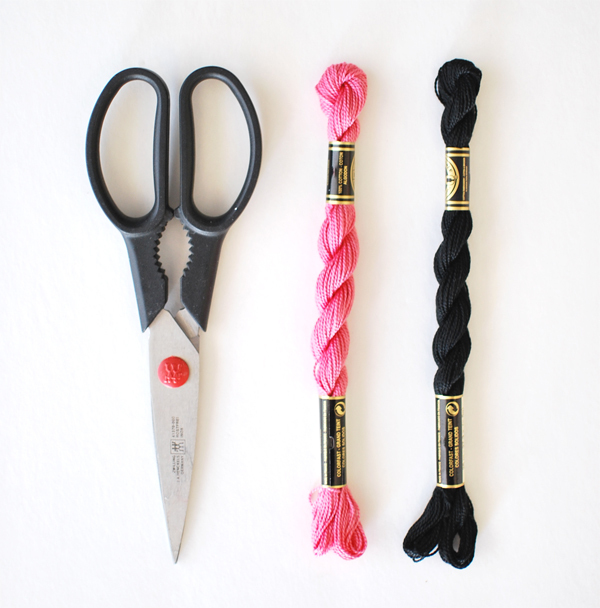 Then to create the pom poms. 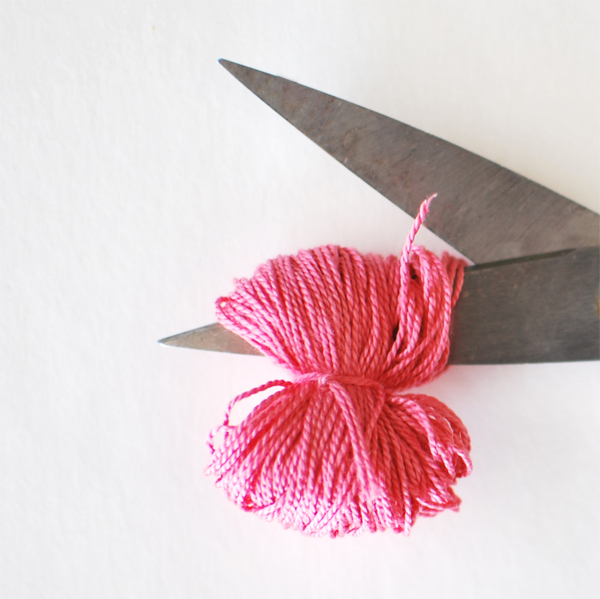 Just put your scissors through the hole and cut! 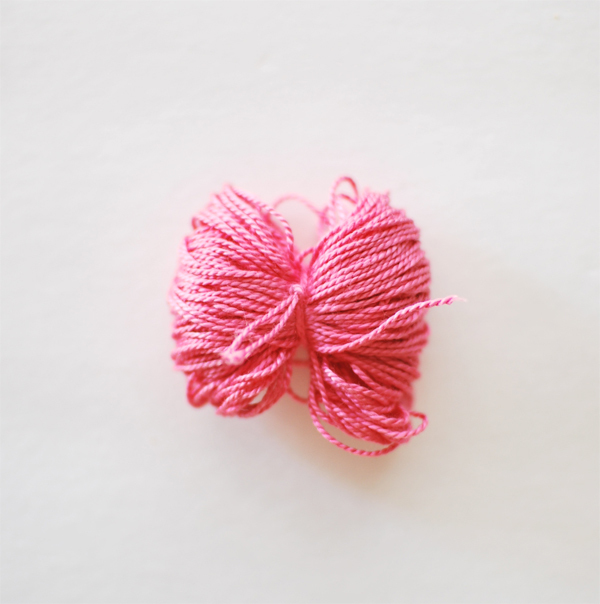 Then with the remaining embroidered floss that you saved, pull it through the center of the pom pom where you tied it really tight. Now you can attach it to your beach tote! I just tripled knotted mine to my tote just to make sure it doesn't come off. 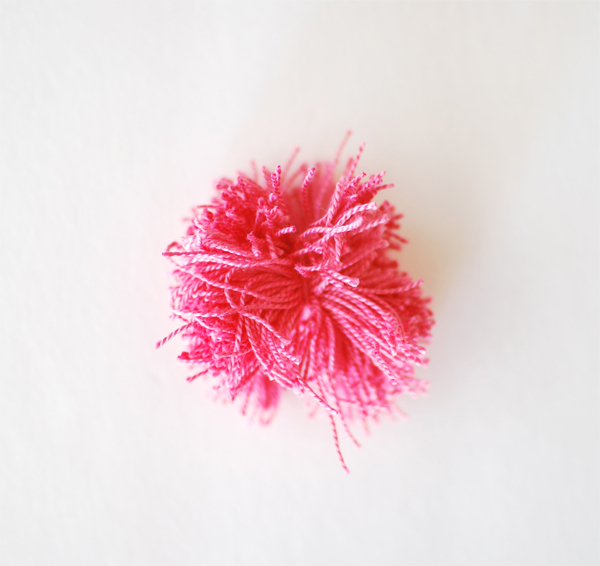 These pom poms sure do elevate my $3.98 thrift store beach tote, eh? Set a timer for how long you need to leave the dye in your hair. Follow the instructions on the box. Do not rinse the dye out before the minimum time or leave the dye in past the maximum time. The glue sticks to the skin and channels away the moisture. The tape lifts the skin as soon as it is applied. It happens in such a way that when the body is moved, the edges of the gum lift the surface of the skin. Sanchez is benefiting from a first summer off in five years. A World Cup, back to back Copa Americas unique t shirts and the Confederations Cup have delayed his summer country shirts holidays in recent years and there is another Copa next year. Sanchez is still energetic, posting clips of beach workouts in Rio de Janeiro, yet his effectiveness has not matched his endeavour palace t shirt at United.